An excellent product which both my elderly dogs love and thrive on. However I was so fed up spending hours breaking the kibble to feed to my Yorkie that I have now switched over to another brand with comparable ingredients and is actually cheaper. 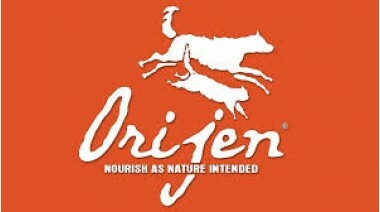 After many hours of research on dog food I believe Orijen to be the best on the market. All of the ingredients are fresh from Canada , no by products which are basically scraps from the slaughter house and nothing imported from China. Rich in nutritious proteins and fats and low healthy carbs from fruits and veggies not tapioca and starch. 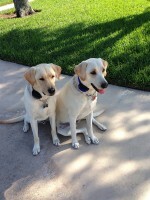 My 3 yellow labs ages 1, 2, and 3 are all happy and healthy. Soft silky skin and coat and loaded with energy. It is a higher priced food but the quality is well worth the cost. Just like humans you are what you eat!! No vet bills!!! My pups just love Orijen and do a dance at meal times. I alternate between the 6 fish and regional red and add a freeze dried tundra medallion with evening meal!! The absolute best in dog food. Will feed my pups nothing else!! Their freeze dried dog treats are also a hit!! Definite Orijen lover!! I've recently started feeding my Boxer Orijen. I've previously tried most of the good quality brands and my dog is always fussy. I was beginning to wonder if I would ever find the right food and I've wasted so much time and money but decided to try Orijen as this was one of the few brands I've not tried at the top end of the market. I have finally found a high quality kibble that my dog loves and she's even gone back to a empty bowl looking for more!